Kids, kayaks, paddleboards, sea otters = a great summer vacation! Offered every week from June thru July. Each session is MON - THUR with morning and afternoon sessions available. For ages 9-14. Kids should be good swimmers. Advance sessions for repeat campers are available. All gear, full wetsuit and snacks are included in price. Bring bathing suit, water shoes, towels, sunscreen and personal items (and lunch for all-day campers). Details will be in your packet. A minimum of 3 campers needed for each session. Consider going kayaking as a family on a Friday with a free rental/tour for your camp graduate! What's that? Learning about the creatures in the bay is fun! 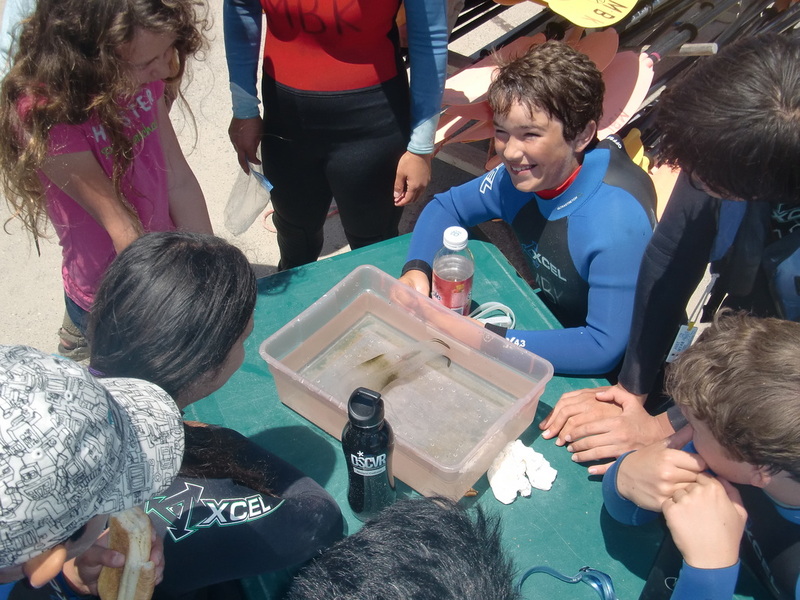 Kids will spend the week being introduced to kayaks and ocean safety skills while learning about the sea otters, seals, sea lions, kelp forests, marine invertebrates and shorebirds. 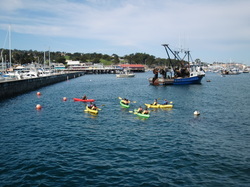 Campers will have more casual time to kayak, standup paddleboard, swim and play in the calm waters of Monterey Beach under the supervision of trained staff. There is an optional field trip to local wharfs if it is too windy for water sports (walking or Trolley only). Morning sessions are pre-requisite.